Children can play this game in pairs. 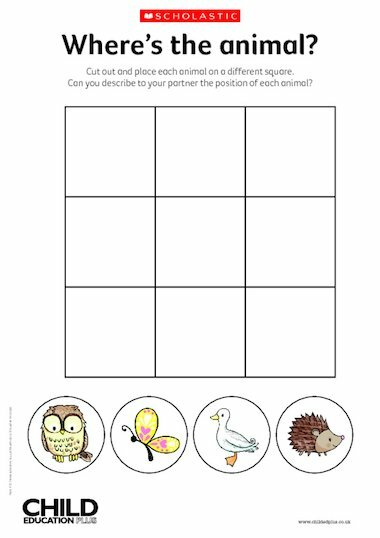 The child to go first places their animals on four different squares of the 3 × 3 grid. They then tell their partner where to put animals on their grid so that the arrangements matches theirs. The children check to see if their completed grids match and then swap roles. Older or more confident children can play the game on the 6 × 6 grid. Encourage the children to develop a way of labelling the squares, perhaps with colours along one side and letters or numbers on the other.